“Schitt’s Creek” has been renewed for a sixth and final season, which will air here next year on Pop TV and on the CBC in Canada. Season 6 is currently in pre-production and will begin shooting in a few weeks. We are very excited to announce that “Schitt’s Creek” is coming back for a sixth season on CBC and Pop in 2020! We also wanted to take this opportunity to let you know that we have decided season six will be our last. We are so grateful to have been given the time and creative freedom to tell this story in its totality, concluding with a final chapter that we had envisioned from the very beginning. It’s not lost on us what a rare privilege it is in this industry to get to decide when your show should take its final bow. We could never have dreamed that our fans would grow to love and care about these characters in the ways that you have. In addition to the Levys, their network bosses wanted to gush over the small sitcom that could. In addition to the Levys, “Schitt’s Creek” also stars Catherine O’Hara, Annie Murphy, Chris Elliott, Emily Hampshire, Jennifer Robertson, Noah Reid, Dustin Milligan, Sarah Levy, and Karen Robinson. 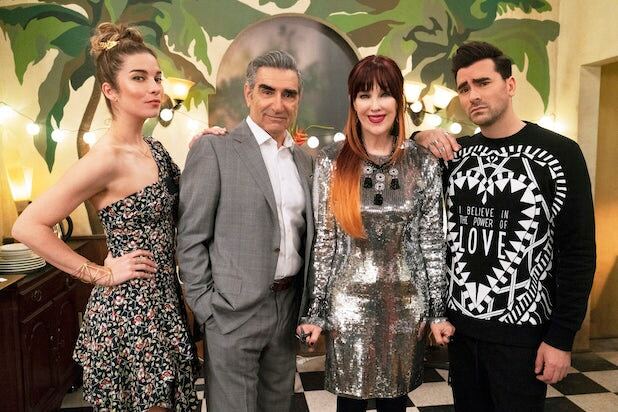 “Schitt’s Creek” is produced by Not A Real Company Productions Inc. Executive producers are Eugene Levy, Daniel Levy, Andrew Barnsley, Fred Levy, David West Read, and Ben Feigin. The comedy series is produced in association with CBC and Pop TV and distributed internationally by ITV Studios Global Entertainment.